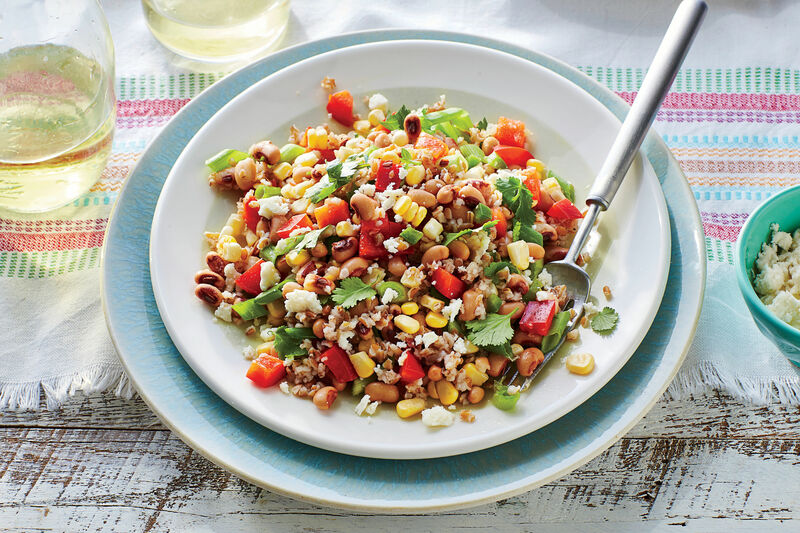 South Carolina food writer Anne Wolfe Postic shares her favorite new way to cook with farro. Let me begin by saying I really like Glenn Roberts of Anson Mills. I don’t really know him, we aren’t actually friends (though I’d totally be friends with him if he wanted), and he was once very nice to me when I had to interview him for an article a few years ago. In fact, he recognized my maiden name and we realized he’d rented his first office space in Five Points from my family’s real estate company, so he knew my uncle Dana. A lot of people know Uncle Dana, but South Carolina is one small state! Anyhow, I often pick up Anson Mills products because I like Glenn and because my favorite neighborhood grocery store, Rosewood Market, carries a variety of them. I bought Anson Mills' farro piccolo (a smaller type of whole grain farro) a few months ago and forgot about it until I was short on options one night and needed to throw a meal together. Cooking grains in bone stock and adding a few vegetables turns them into a meal, so that’s what I did. I pulled out some wild mushrooms, a couple of over-ripe tomatoes, an onion, some duck stock, and the farro, and went for it. It was pretty delightful! A few weeks later, when it was time to make it again and actually write it down, I had a few questions about cooking the hulled wheat because I wanted to do it right. I emailed Anson Mills and, what do you know, got a prompt answer from Glenn himself. His advice was right on, and a recipe was born! Anne Wolfe Postic is a freelance writer living in South Carolina with her husband, their three sons, and a fluffy white dog. She travels with relish (and often a jar of Duke’s mayonnaise). She cooks her feelings and invites people over to eat them. Anne writes and blogs about parenting, etiquette, healthy eating, home cooking, and traveling. She recommends taking all of her advice with a huge chunk of salt.